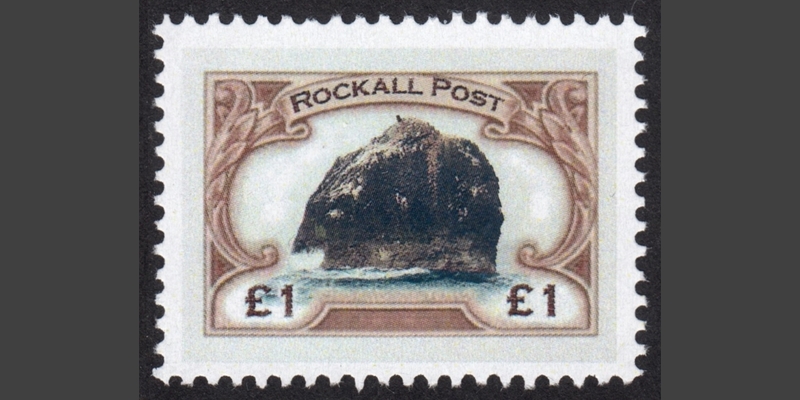 Imperforate sheetlet (35p) from Staffa, issued in 1972. It depicts two different finches: a bullfinch and a hawfinch. 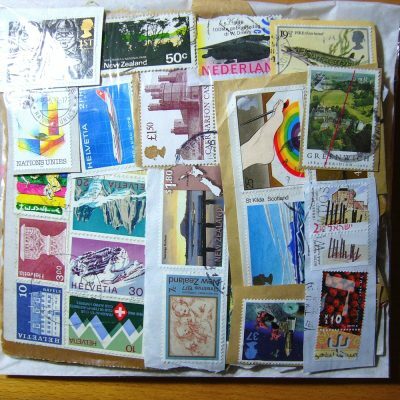 Cancelled-to-order (CTO) condition (see our glossary page for an explanation of what CTO means). 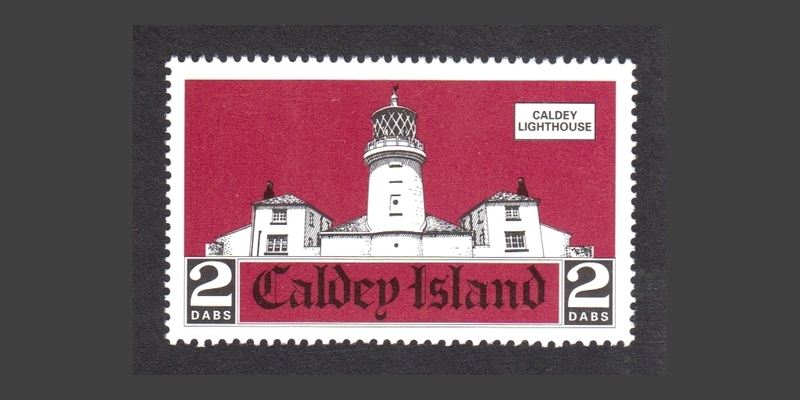 Staffa is a real island in the Inner Hebrides – owned since 1986 by The National Trust for Scotland – but the stamps that bear its name have a somewhat colourful history. 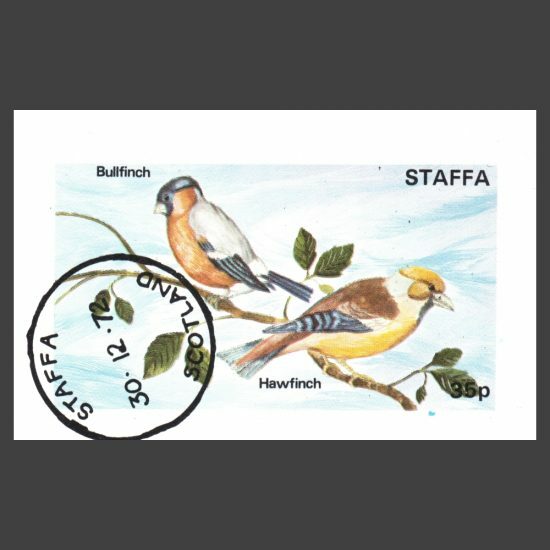 Just like the stamp issues in the 1970s and 1980s that purported to come from Eynhallow, Nagaland or Dhufar, Staffa’s stamps were produced by the controversial English stamp dealer Clive Feigenbaum. 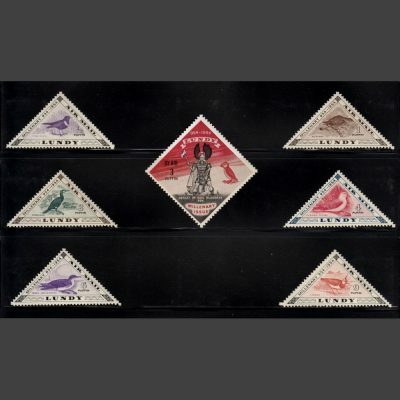 They were issued with the permission of the island’s owner at the time, but, unlike local carriage labels from other islands such as Herm or Lundy, were produced primarily for collectors, and are not thought to have ever performed any postal function. 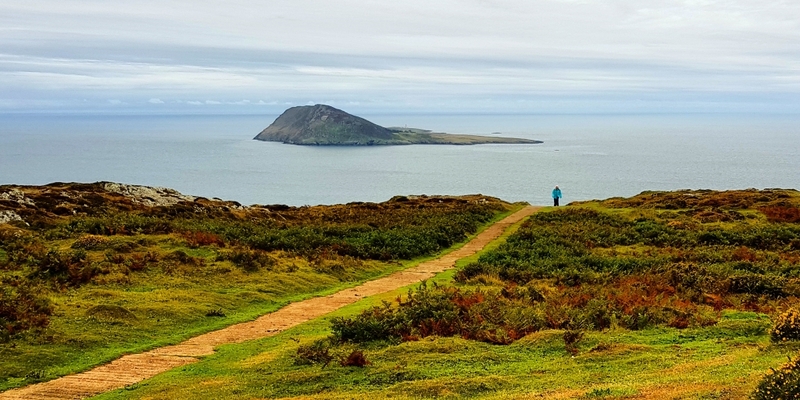 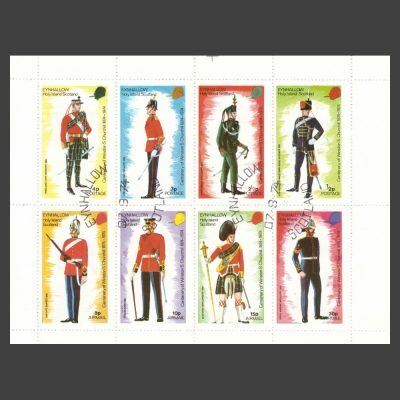 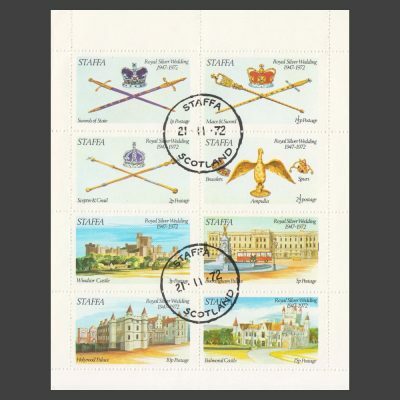 Still, while not ‘proper’ postage stamps – and therefore falling into the category of Cinderellas – Staffa issues are still collected as a philatelic curiosity in their own right.